Browse: Home / unfurl is An Entropy Based Link Vulnerability Analysis Tool. 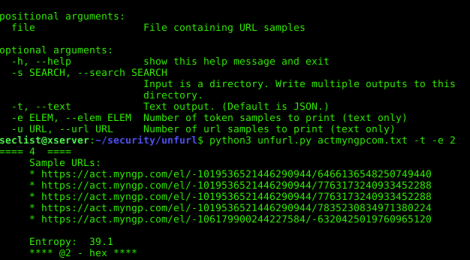 unfurl is An Entropy Based Link Vulnerability Analysis Tool. 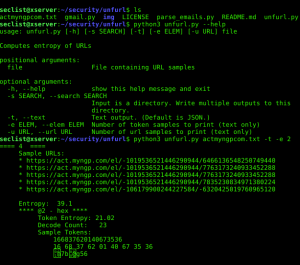 unfurl is a tool that analyzes large collections of URLs and estimates their entropies to sift out URLs that might be vulnerable to attack. The big idea is to find tokens in a large list of URLs that have low entropy. These might be susceptible to brute force attacks. ← r2kit – A set of scripts for a radare-based malware code analysis workflow.